Florida Authorities reported the 3 people killed in a Cessna 310 plane crash near about 20 miles west of Vero Beach. This confirmed news released by Associated Press, February 15, 2013. According to Federal Aviation Administration (FAA), Cessna 310 plane took off from Okeechobee on Thursday afternoon and was heading to Bartow when the FAA lost contact with it near Fort Pierce. 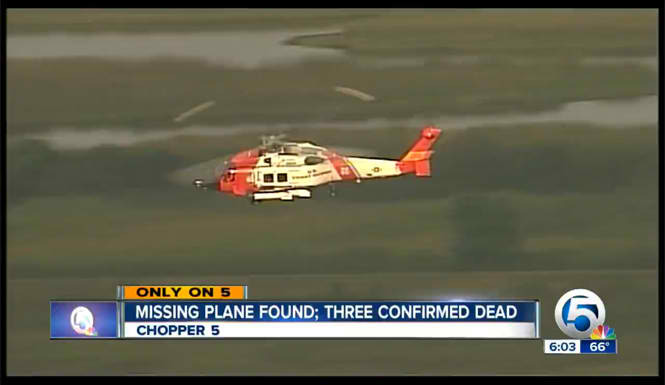 U.S. Coast Guard and paramedics removed the three bodies of unknown victims by a helicopter. According to National Transportation Safety Board (NTSB) officials, the preliminary investigation about the reason of plane crash could not be discuss until the end of the month. Comments or suggestions about "3 killed in plane crash near Vero Beach in Florida" is important to us, you may share it by using the comment box below.